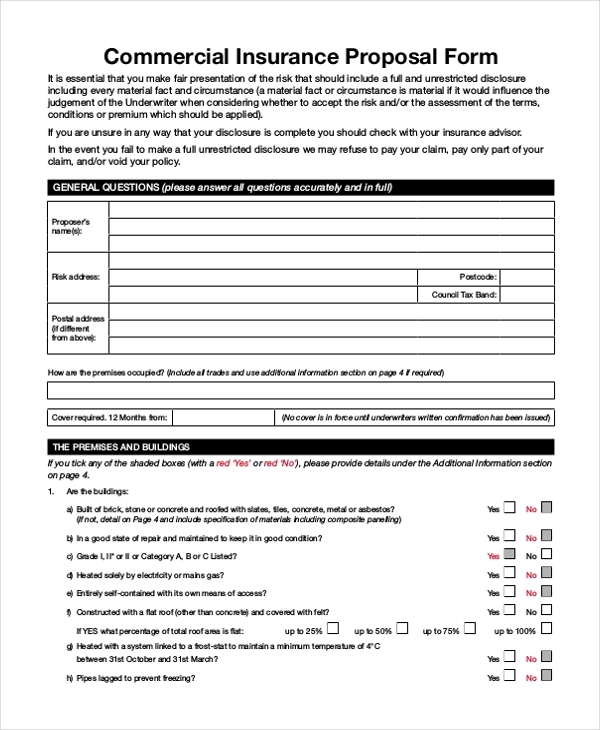 Whenever a person intends to sign in for an insurance policy, he is required to fill in an Proposal Form. In this form, he has to give the details about the person or thing that he wishes to insure. So, if he seeks insurance for himself, he needs to add in his personal details. On the other hand, if he is insuring a thing, he is required to assess the risks and fill them in. 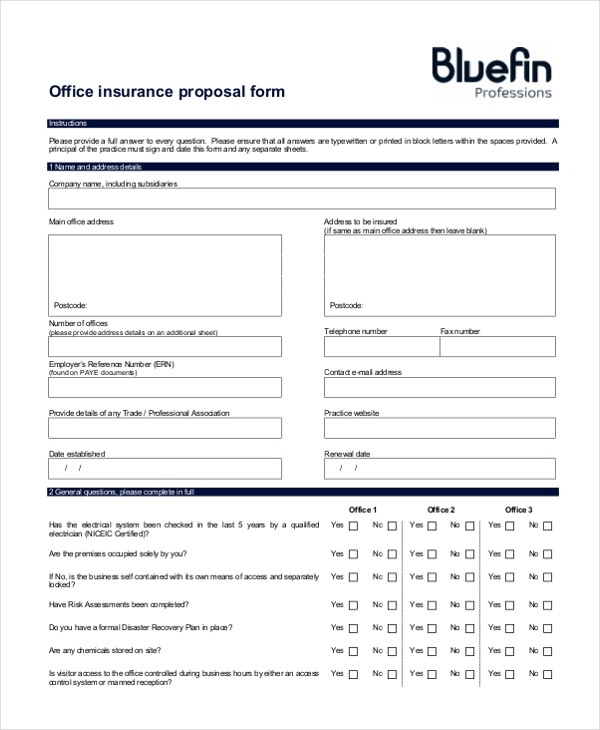 This insurance proposal form is filled in by an applicant who is looking for an insurance cover for his commercial properties. He needs to elaborate on the details of his commercial property in this form. When a person thinks of acquiring a medical insurance from the postal department, he is required to fill in this with form with necessary details like medical history, reason for seeking insurance etc. 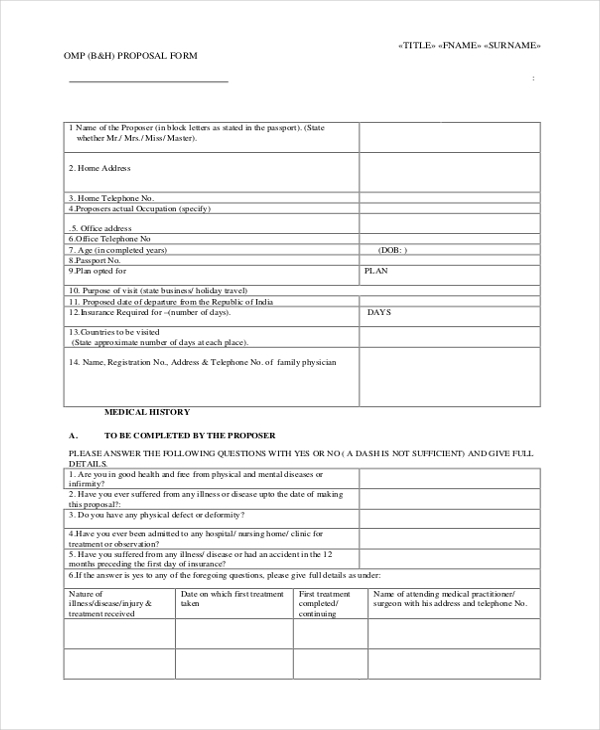 This insurance proposal form requires a person to fill in the details of his automobile like the types of automobile, year in which it was bought, purpose for which it is used etc. 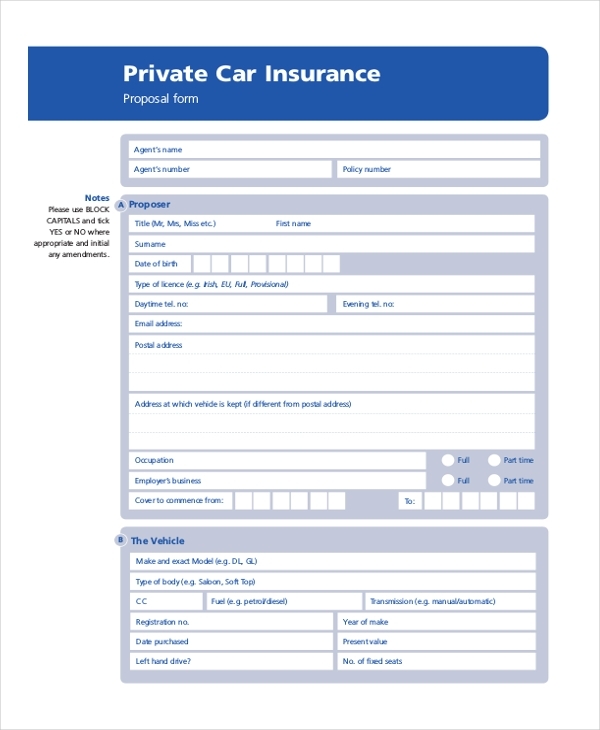 When a person wants to get his car insured, he is required to submit a car insurance proposal form with details of the car like model, make, years of use and risks involved. 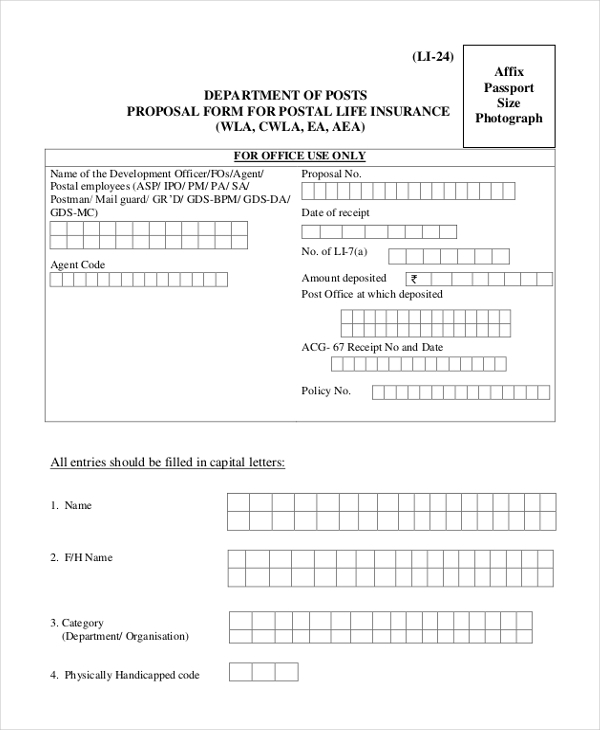 This proposal form is filled in by a person who is looking for an insurance policy that would offer him a medical cover in any part of the world. He may be required to fill in his medical history and other health details. When a person seeks an insurance cover against fire for his properties and assets, he is required to fill in a fire insurance proposal form. He may have to elaborate on the risks that have encouraged him to seek the insurance. Any person who is thinking of getting his engineering plant insured is required to fill in all the company details like machinery and tools used, techniques used etc and submit it to the insurance company. 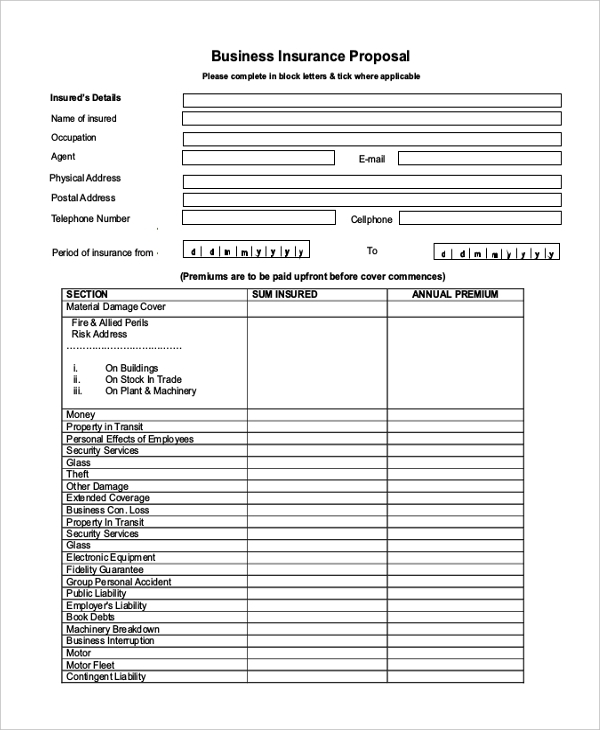 Used by owners of business organizations, this form is used to seek insurance cover for the string of offices that one might have. The person is required to fill in details about the offices like number, location, risks etc. When a person intends to gain an insurance cover for his business premises and building, he can submit a business insurance form to the insurance company with the details about his buildings, machinery etc. 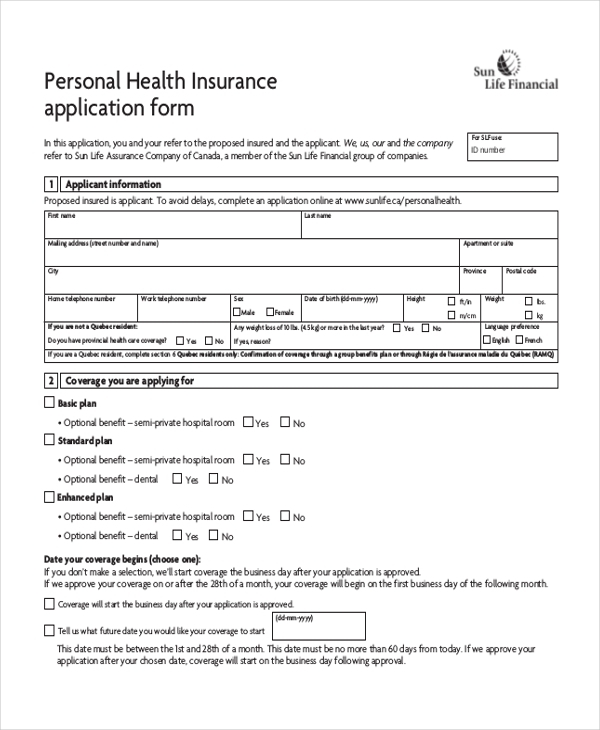 A person seeking to gain a health insurance cover for himself, should first fill in a personal health insurance form with all requisite details. This may require him to answer queries about his health. What are the Uses of an Insurance Proposal Form? Who can use an Insurance Proposal Form? 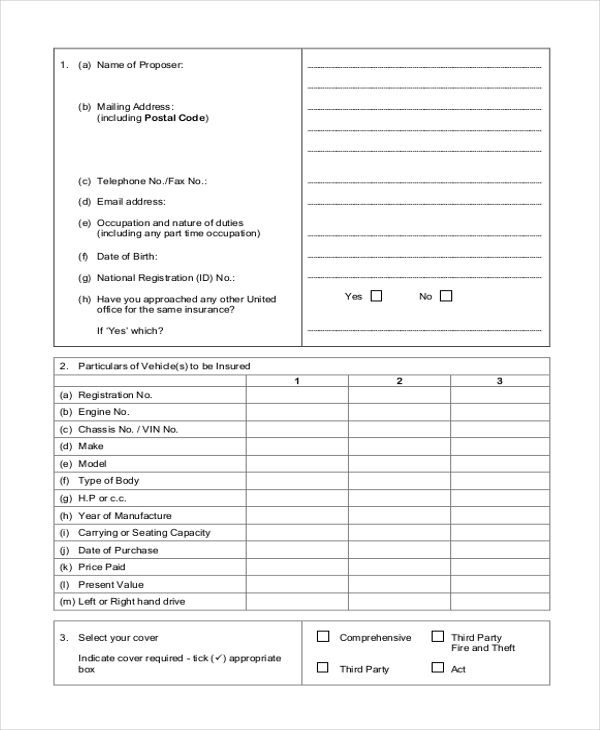 Since an insurance proposal form is mainly used to collect crucial information from a person seeking insurance, it is mainly used by insurance companies. However, it may also be used by various government holdings like the postal department who offer insurance cover to people. 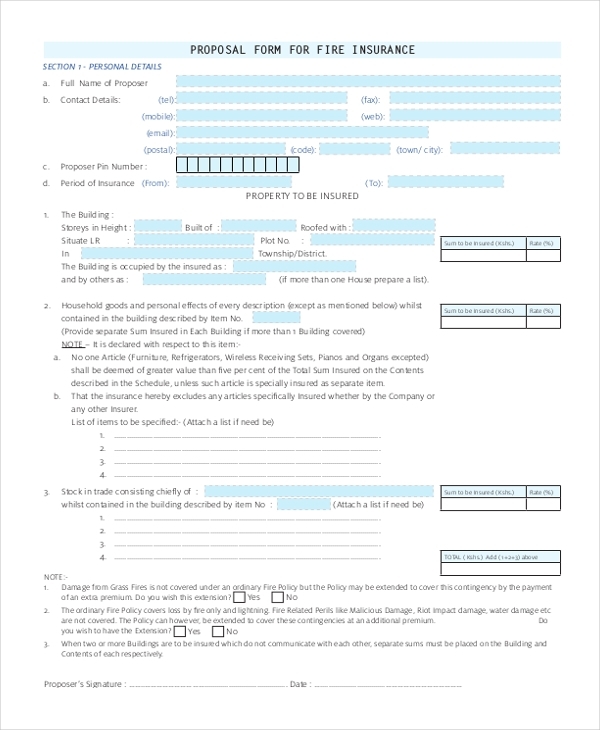 What are the Essential Segments of an Insurance Proposal Form? 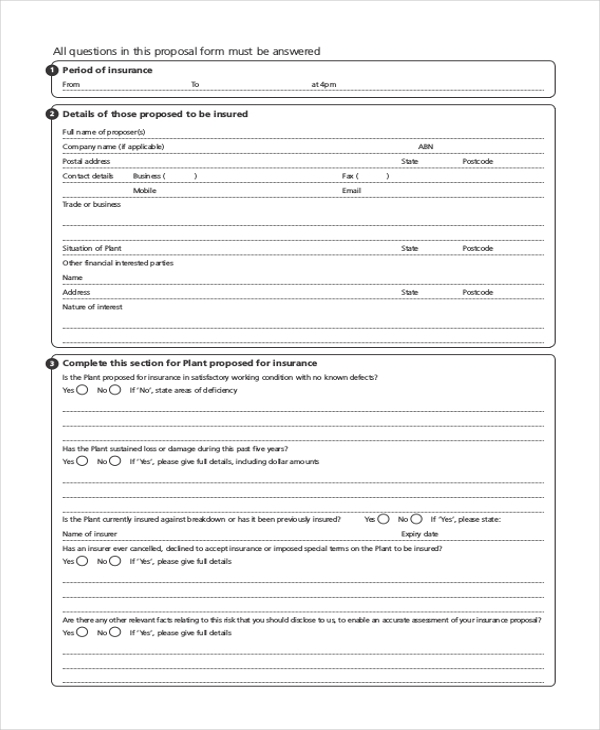 An insurance proposal form helps you to seek all the necessary information. Thus, you need to add in segments that will ascertain that the person shares all the crucial data. In case, you are not sure how to do this, just go ahead and download an insurance proposal form. These are readily available online and can be further personalized as per your need.